An art embracing the mind, body and spirit – Originating in ancient China, tai chi is one of the most effective exercises for health of mind and body. Although an art with great depth of knowledge and skill, it can be easy to learn and soon delivers its health benefits. For many, it continues as a lifetime journey. There are many styles and forms of tai chi, the major ones being Chen, Yang, Wu, Wu (different words in Chinese) and Sun. Each style has its own features, but all styles share the same essential principles. Just what is tai chi? The flowing movements of tai chi contain much inner strength, like water flowing in a river, beneath the tranquil surface there is a current with immense power—the power for healing and wellness. With consistent practice, people will be able to feel the internal energy (qi 氣), convert it to internal force (jing 勁) and use it to generate more internal energy. 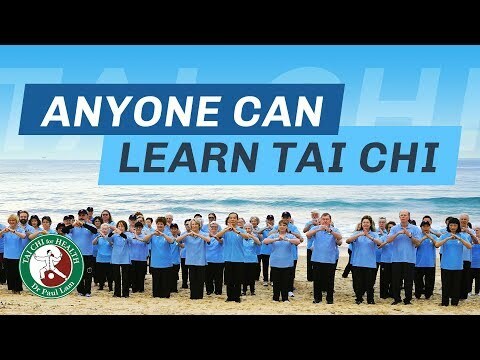 This process would greatly enhance tai chi development, leading to a more balanced mental state; at the same time your fitness, agility and balance will improve. The unique feature of tai chi is that it is internal. Internal means building the inner strength from inside out, therefore you can continue to develop at any age.